Timo Everi is Chairman, project lead for Projekti GH Oy in Helsinki, Finland. Timo has gained over 20 years experience in a number of sectors, including Telecommunications, Advertising, Retail, Media, FMCG and Sports, as well as an in-depth working knowledge of Europe, the Middle East and the US. His previous roles, have included Chief Commercial Officer and Director of Marketing at Wataniya Telecom Plc (Kuwait, 2004-2006), Partner and Executive Creative Director at Hasan & Partners, (Helsinki, 1991-2004) and Creative Director and Senior Copywriter at McCann-Erickson (New York, London & Scandinavia, 1-3 month periods between 1997-2004). 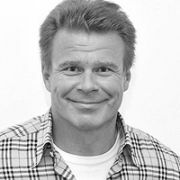 Everi has won numerous awards for his work, including a lifetime achievement award (platinum) from the Finnish Advertising Industry (2002).